FACT CHECK: Was Malia Obama Indicted for Food Stamp Fraud? 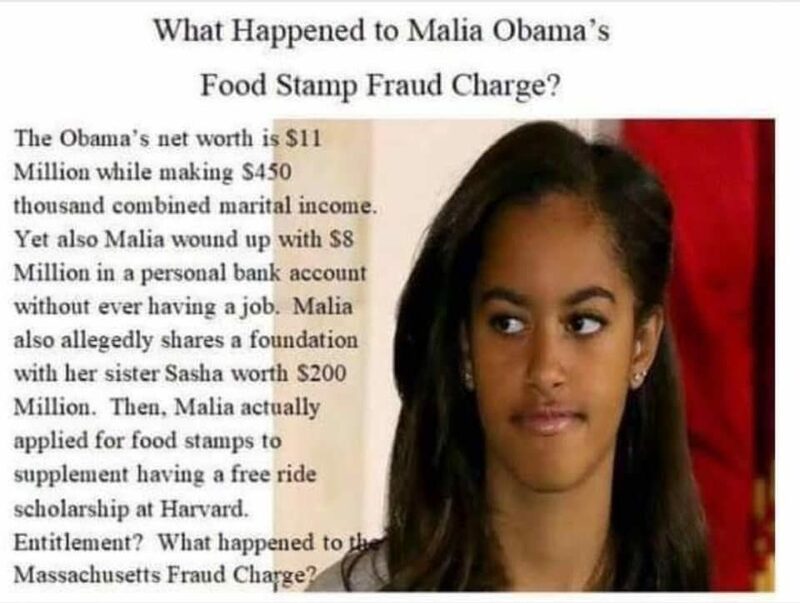 Was Malia Obama Indicted for Food Stamp Fraud? "Obama has trained the youth of America to be so dependent on the government that even his own daughter thought she was entitled to free stuff." Malia Obama was indicted on charges related to food stamp fraud. A member of the First Family will face fraud charges early in 2017, but it isn’t who you might think. President Obama is certainly guilty of fraud for his use of a fake birth certificate and for pretending he’s a Christian and Michelle Obama is certainly guilty for the $180 million in lavish vacations and 200 staffers she keeps to walk her dog and weed her garden on the taxpayer’s dime, but they seem to be impervious to any kind of action against them. Malia, however, isn’t going to be so lucky. It seems that while putting in her paperwork to go to school at Harvard, the oldest Obama daughter, who recently turned 18, lied on her financials and failed to disclose the $9 million she has ion the bank. That’s not an issue with the school, as she’s going on a full scholarship for being the daughter of a president, but it didn’t bode well with the Commonwealth of Massachusetts. That’s because Malia decided that she would fail to disclose her assets when she applied for food stamps. Yes, you heard that right. Obama has trained the youth of America to be so dependent on the government that even his own daughter thought she was entitled to free stuff just because she’s not technically working. 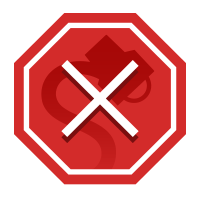 DISCLAIMER: The Resistance may include information from sources that may or may not be reliable and facts that don’t necessarily exist. All articles should be considered satirical and any and all quotes attributed to actual people complete and total baloney. Pictures that represent actual people should be considered altered and not in any way real. While this story is ridiculous and can in no way be verified, conservatives tend to not reads below the pictures of Patriotic pets. It is here that we can gather to point at them and laugh as they head back to the Facebook page to make an immediate connection between Malia, food stamps and black people. Yes, it really is that predictable. The answer to the question posed in this meme can be answered quite simply: Nothing, because those charges never existed to begin with. America’s Last Line of Defense has published a number of articles offering false claims about Malia Obama. We’ve previously covered items asserting that Malia once said white people will be “blended out,” that she was expelled from Harvard, that she was busted for streaking at college, that she founded an anti-Trump website, that she attacked an old woman, and that she was arrested for purchasing marijuana. None of the aforementioned stories was true.